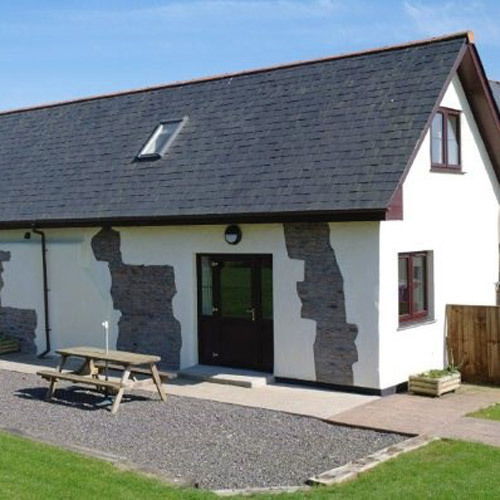 Taw Cottage offers THREE bedrooms: all situated on the first floor set in the eaves of the barn with low sloping ceilings and doorways, master double with single bed and en-suite shower room with WC. 1 further king-size with single bed and 1 single bedroom with pull-out bed. Bathroom: with shower over bath and WC. 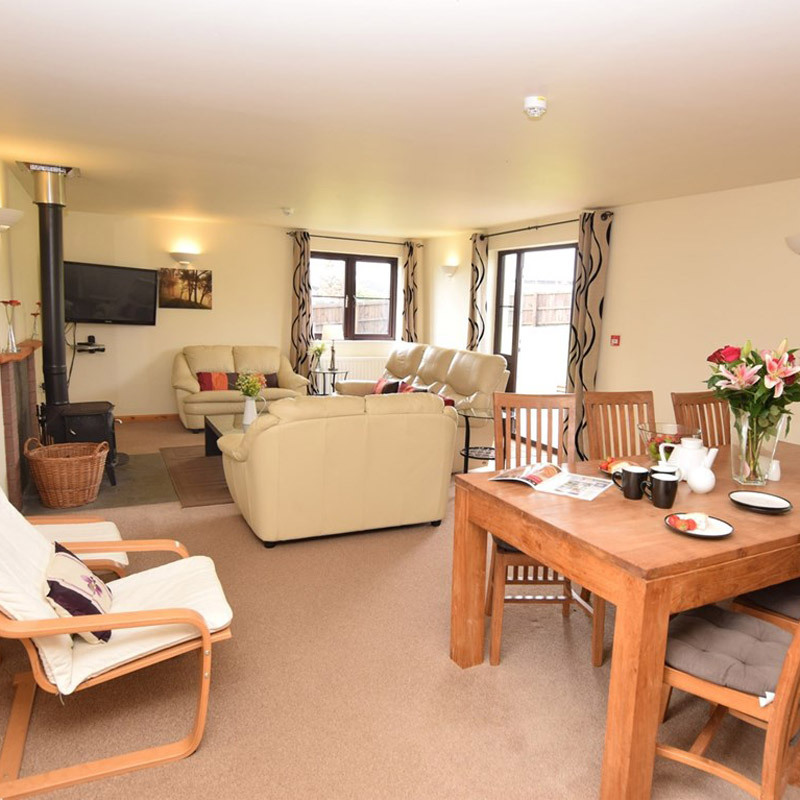 Lounge/diner: this spacious room offers flatscreen TV with DVD, Freeview, woodburner and sofabed. 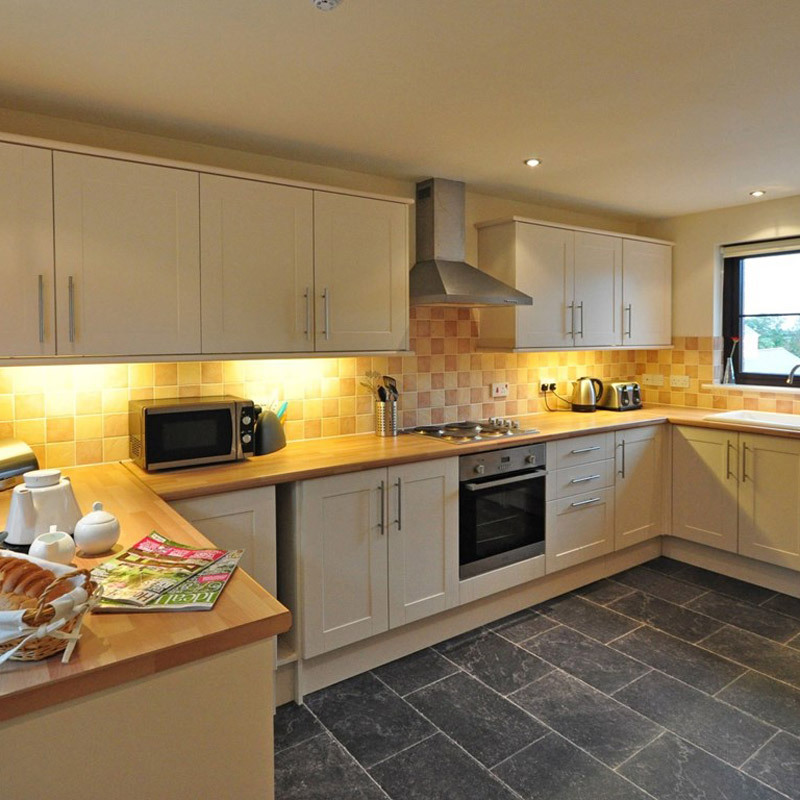 Kitchen: benefits from integrated cooker with hob, microwave and dishwasher. Utility room: with fridge/freezer and washer/dryer that leads into a WC. 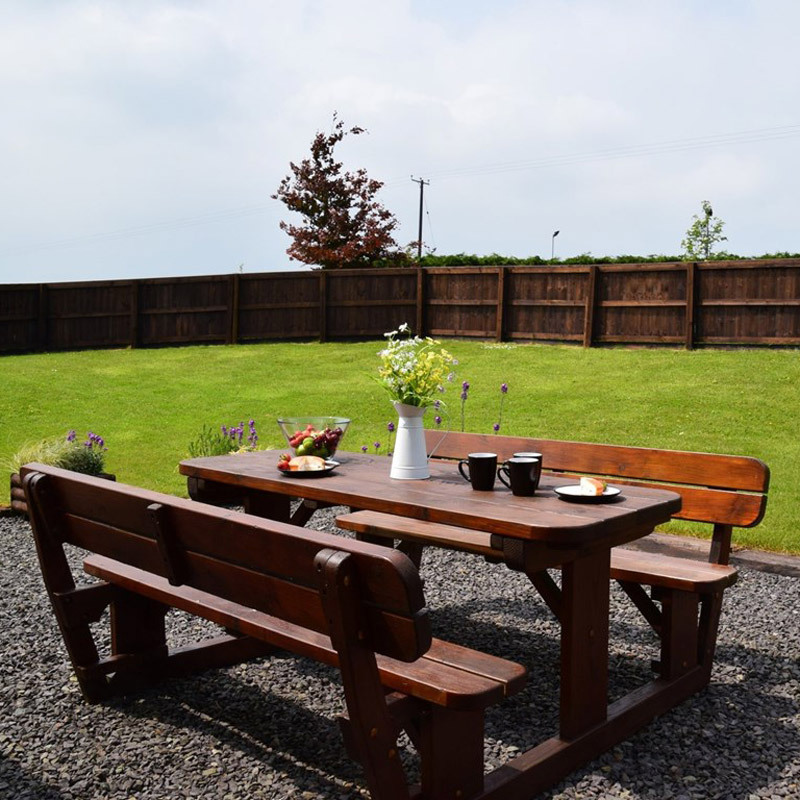 Outside: is an enclosed patio with large private lawn, garden furniture and BBQ.